Ideal christening present for a nursery - a real family heirloom. 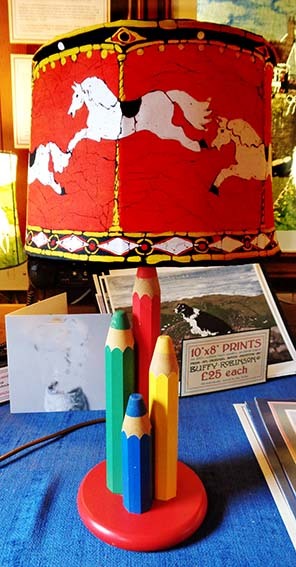 I've made one of these fun lampshades for each of my nieces and nephews and my grandchildren. They are nearly all grown up now and they are passing them on to their own offspring. It gives a lovely warm glow of light and with a low-voltage bulb, can be left on as a nightlight.